Recent polls suggest that fewer than 40 percent of Americans believe in Darwin’s theory of evolution, despite it being one of science’s best-established findings. More and more parents are refusing to vaccinate their children for fear it causes autism, though this link can been consistently disproved. And about 40 percent of Americans believe that the threat of global warming is exaggerated, despite near consensus in the scientific community that manmade climate change is real. Why do people believe bunk? And what causes them to embrace such pseudoscientific beliefs and practices? Noted skeptic Massimo Pigliucci sets out to separate the fact from the fantasy in this entertaining exploration of the nature of science, the borderlands of fringe science, and—borrowing a famous phrase from philosopher Jeremy Bentham—the nonsense on stilts. Presenting case studies on a number of controversial topics, Pigliucci cuts through the ambiguity surrounding science to look more closely at how science is conducted, how it is disseminated, how it is interpreted, and what it means to our society. 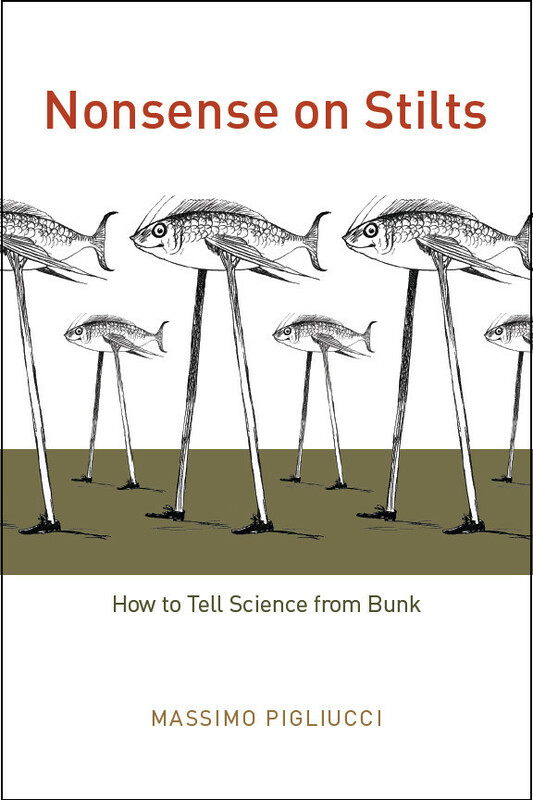 The result is in many ways a “taxonomy of bunk” that explores the intersection of science and culture at large. No one—not the public intellectuals in the culture wars between defenders and detractors of science nor the believers of pseudoscience themselves—is spared Pigliucci’s incisive analysis. In the end, Nonsense on Stilts is a timely reminder of the need to maintain a line between expertise and assumption. Broad in scope and implication, it is also ultimately a captivating guide for the intelligent citizen who wishes to make up her own mind while navigating the perilous debates that will affect the future of our planet. Chapter 4 Blame the Media? Chapter 10 The Science Wars I: Do We Trust Science Too Much? Chapter 11 The Science Wars II: Do We Trust Science Too Little? Chapter 12 Who’s Your Expert? Conclusion So, What Is Science after All? "How is an intelligent layperson with general interests, or for that matter a narrow but deeply focused specialist, supposed to make sense of the torrents of nonsense that spew from all directions? How can we distinguish fact from fancy, medicine from snake-oil, science from bunk? What hangs in the balance? And who dares plumb the fathomless depths of data, teeming with creatures contradictory and controversial alike? Enter Massimo Pigliucci, a brave volunteer for this mission....His book serves a seriously worthwhile purpose: that of giving you, the reader, tools and instructions for assembling your very own ’baloney-detector.’ Armed with this, you stand a vastly improved chance of separating the wheat of reliable knowledge from the chaff of fashionable nonsense in your daily harvest of data."